I recently had the pleasurable opportunity to view the new spring collections from two of my favorite textile houses – Holly Hunt and Sahco. As you can imagine, there are some fantastic new fabrics out for spring. 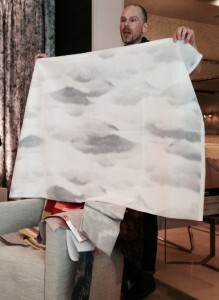 Holly Hunt’s “Great Outdoors” line features beautiful new outdoor fabrics. 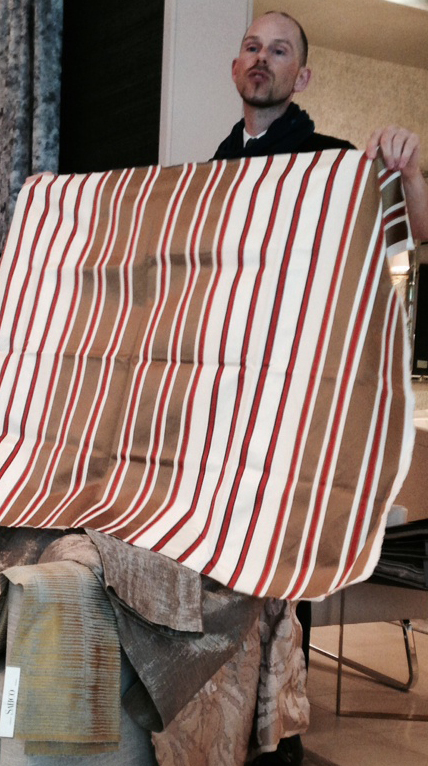 I have long been a proponent of using outdoor fabrics – not only for obvious applications (outdoor upholstery!) but for indoor applications as well. The fabrics are attractive and finished so exquisitely, it is difficult to distinguish these as outdoor fabrics. In addition to the Holly Hunt collection, I saw new items from Clarence House and Mokum – which are represented by Holly Hunt. A glimpse of the “Great Outdoors” spring 2015 collection… beautiful tonal neutrals that Holly Hunt is known for. Sahco has new collections for spring as well… these include Shanghai Nights, Chalet Luxe and Into the Blue, as well as their Classic line. I am particularly fond of Shanghai Nights and Into the Blue (I don’t work on too many chalets in south Florida). Though Shanghai Nights might seemingly appeal to a specific customer, the patterns, colors and weaves are stunning. “Liang” – based on asian characters, has been interpreted in a contemporary fashion, and would add interest and elegance to a variety of decor styles. The “Into the Blue” collection features two patterns I love – Clouds and Assam – and tonal solids that create a handsome yet soothing atmosphere. Prints from the Shanghai Nights and Into the Blue collections from Sahco – great mix of stunning color and tonal neutrals. It is always exciting to see new collections and I look forward to sharing more!